Gaining admission to some of the most reputed overseas educational institutions abroad depend to a large extend on your English language proficiency test scores. 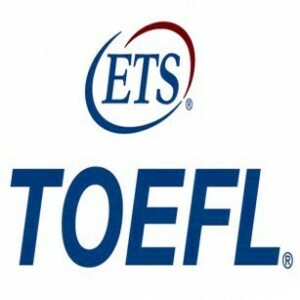 Prominent among these English language proficiency tests is TOEFL, a test that measures the ability of non-native English speakers to use and understand the English language in an academic setting. The TOEFL consists of four sections (reading, writing, speaking, and listening) with a total score of 120 points. Like all other English proficiency tests if you talk about the level of difficulty it is no cake walk by any means but with a diligent approach and hard work, one can surely come out with flying colors. Here are few tips to help you prepare well for your TOEFL. Knowing in-depth about the test is the first step towards cracking TOEFL . Understand the time duration for each section i.e. reading, listening, speaking and writing, this will help you use the time most optimally. Become familiar with what can you expect in each section and the pattern of questions asked, by doing so you can have a well directed preparation plan that will reduce test anxieties and would help you perform well. As someone intending to pursue studies abroad you might already have taken a liking to reading but if that is not the case it is high time you start. The more you read the more you will develop vocabulary and comprehension skills. Make it a point to read quality English news papers, magazines, journals etc, as this, apart from helping you to refine your English language it would help you answer multiple choice questions and essays with ease. There is no short cut to improving ones writing prowess. Though you will have to type your answers on to a computer, make it a habit to write at least a paragraph daily without fail. In the age of social media there is ample opportunities for you to refine your writing skills while replying to posts, commenting on a particular topic on social media platforms, blogs, articles etc, by doing so, you not only build your English language but also widen your knowledge base and develop strong arguments in support of your views and present them in a more coherent way towards scoring well in the TOEFL writing section. Listening is a part most take for granted which is a fatal mistake. Work on your listening skills by listening English from different sources The most ideal way would be to listen to English radio stations, watching Hollywood movies, international news channels like BBC, CNN etc which can significantly help you improve your learning and understanding the spoken word Through this, you will get used to different accents and pronunciation. Though initially following the accent in English movies, news and talk shows would be relatively tough, as time passes, one will get used to it. Make it a point to note down important points that you listen , this will help you develop note taking skills which would come handy during test taking as it would be virtually impossible to memorize everything that one hear in a single shot. Though comparatively the shortest section of the TOEFL , this should not be left to chance. The key to scoring well in speaking session is to practice regularly using a micro phone with a couple of topics which you get for TOEFL. Make sure to record your speaking sessions and hear it afterwards. This will help you find areas where you are lagging like grammar, vocabulary, repetitions etc and most importantly help you see whether you are able to complete each topic with the time permitted it would also be a great idea to practice your speaking session with a friend to get his/her feedback. Last but not the least; do not over exert to build up an unnatural accent however ensure that you speak chaste English and that your pronunciation is clear. Looking to secure admission to world class educational institutions abroad? Look no further. Santa Monica Study Abroad Pvt. Ltd, your most trusted overseas education consultant headquartered in Kochi is here to facilitate admissions to leading institutions of your choice. Our experienced and well informed overseas study experts provide unbiased and accurate information about overseas Institutions and their study programs that fit your profile and budget. Our exclusive services ranges from Universities / Colleges short listing to application submission, liaising with Universities, visa guidance scholarship assistance, financial aid, education loans to pre departure and post landing assistance For more information on study abroad options across the world visit your nearest branch of Santa Monica Study Abroad or reach us on 0484-4140999. This entry was posted in preparation Tips for TOEFL test on July 29, 2016 by Ronnie Fredrick Thimothy.